How Many Red Lions Are There In London? M@ How Many Red Lions Are There In London? Red Lion, Crown Passage, St James's. The Red Lion is widely regarded as Britain's most common pub name. The Pubs Galore website, a crowdsourced website that keeps track of pub closures and openings, counts 567 at the time of writing. 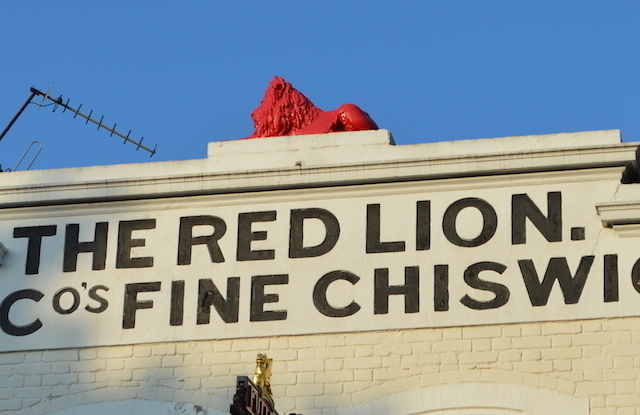 How many Red Lions can be found in London? We count 26, if you include variations like Ye Olde Red Lion (Cheam), Red Lion and Sun (Highgate) and the Red Lion and Pineapple in Acton — part of the Wetherspoon chain named after two earlier pubs in the area. If we pare things back to venues called simply 'the Red Lion', then we reckon on 21. 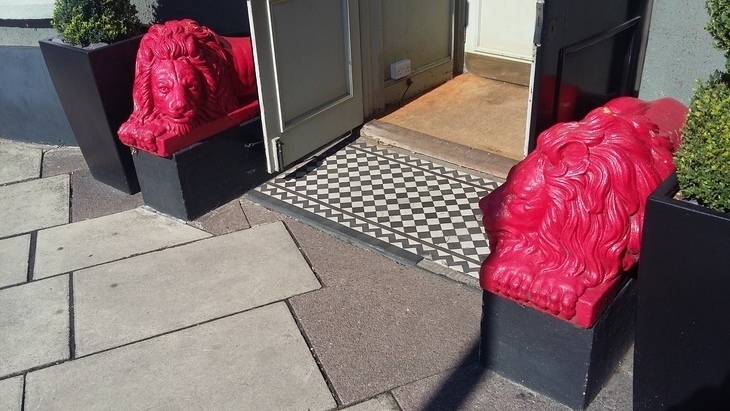 Two brightly painted cats guard the entrance to the Red Lion, Barnes. The crimson feline can be found right across the capital, from Bromley to Enfield to Uxbridge, but central London has more than its fair share. The closest are both in St James's, a mere five minute walk from one another (and both thoroughly charming). In our map, a red icon indicates a proper Red Lion, while an orange device represents a variation, like the Old Red Lion. No one is sure quite why the country has so many Red Lions. Some writers note that the beast is among the most common devices on coats of arms. The widespread name probably has many origins, that can be traced back to different nobles and land-owners. Still, 26 Red Lions is fewer than we'd have guessed. Indeed, pubs called the Prince of Wales are more numerous, with at least 31 active pubs across the capital. Source: We used the Food Standard Agency's hygiene ratings data to get a general overview, than filled in the gaps with some careful searching. 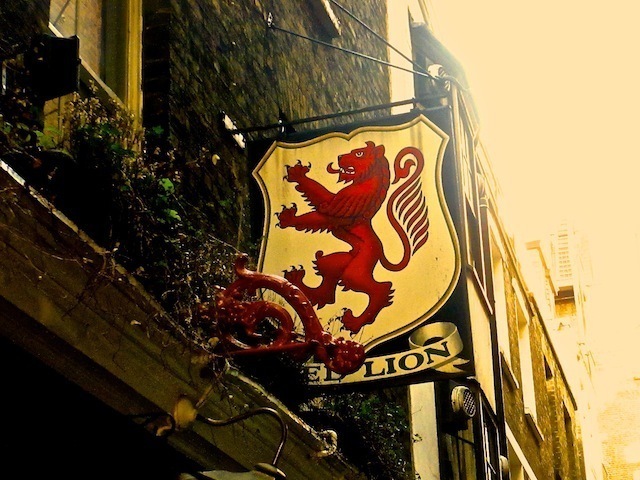 We've reviewed seven of the capital's Red Lions in our 'best pubs in London' microsite.